I finally picked up my car after ~3 months. It was well worth the wait. The C2 Turbo is excellent. Enough said. 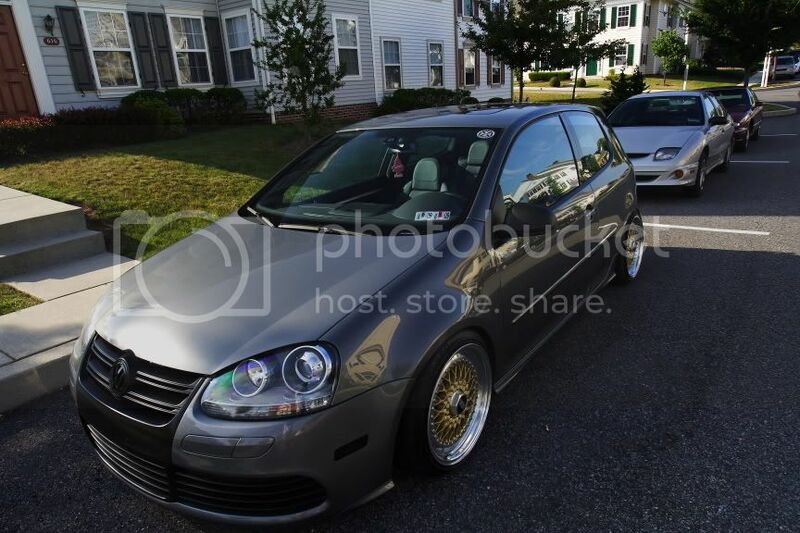 Ordered Stage 2 C2 turbo through Josh at NLS. Can't wait to see it installed. Going to take 3-4 weeks build time. More waiting, yeah! Went to H2O this weekend. It was a fantastic show. Since it was my first time, I took in all the sites. I highly recommend going to this show. The WFSU crew was very cool. All good guys. Will be going to H2O, every year from now on. I went up to Rochester this weekend to pick up a set of BBS RSs from Michaelmark5 (on Vortex). Cool Cat. Got new coilovers put on. Big thanks goes out to Josh and his crew at Nothing Leaves Stock. I had him spin the rears all the way down. If you like to go low these will achieve that. 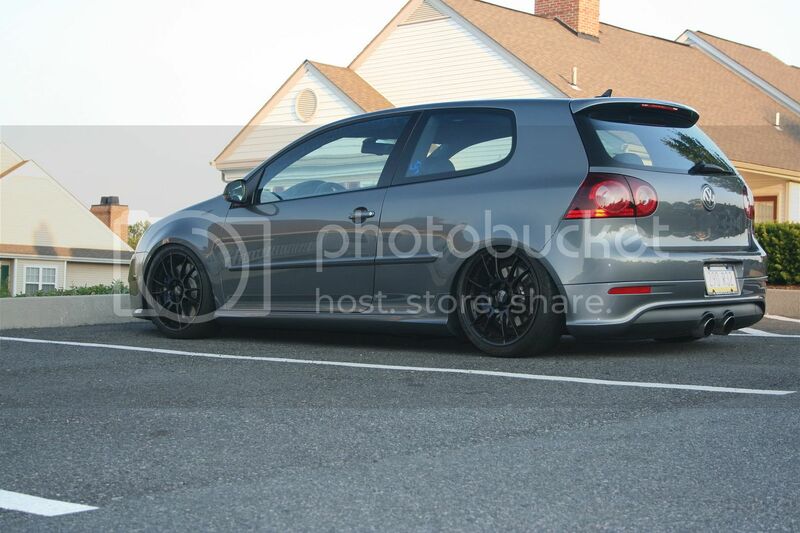 Raised the rears an 1" and now it feels a lot better. Stiffer than stock but very drivable. I finally got some free time to install my Evoms intake and H&R rear sway bar. Also got to de-badge the R.
Went to my first large GTG. It was awesome. All generations represented well. 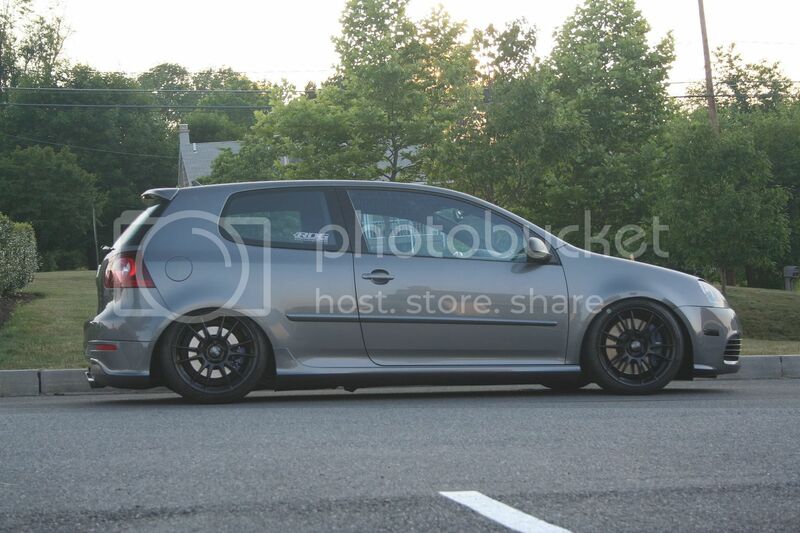 I believe I was one of four MKV R's. Oh my baby is all fixed, except for a few minor interior things that need fixing. Also got my summer tires back on. Winter is fun but spring is nicer. 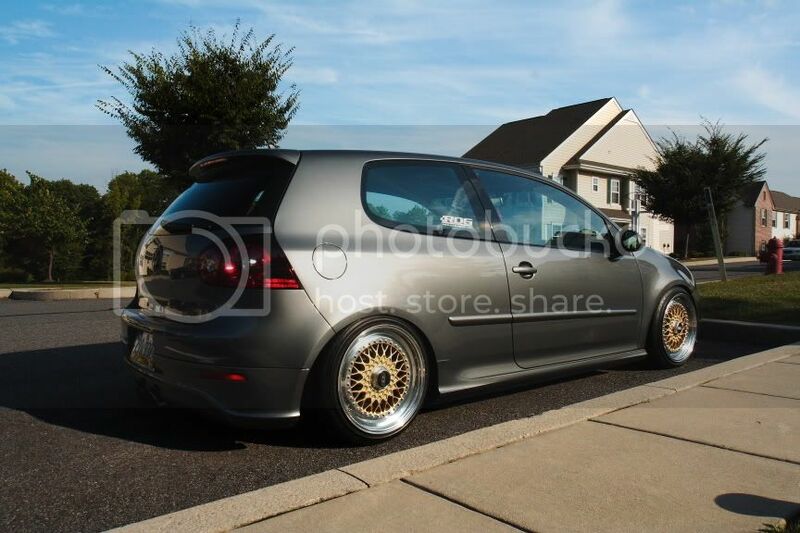 Well today was the day I dropped my R for the repairs that were done on 11/18/07. Took a while for parts to be ordered. It was hard to see the R have to stay at the body shop. Only have to wait a week, thank heavens. Will post pics when its done. Broke the magical number. She's running better than ever. You can really feel her pull a lot more. Can't wait for the Evoms intake!